What are the chances she will heal? Discussion in 'Emergencies / Diseases / Injuries and Cures' started by oldchickenlady, Jan 4, 2011. I have a Buff O hen with a large open wound on her side. I am not sure how long she has had it (thanks to Christmas holidays and 12 hour work schedule) I don't know if something got her and she escaped or if it started out as a bad skin tear (from my rooster, who I culled for being so rough) and the other hens pecked at it, but either way I found her yesterday and it is on left side of her back and it is bad. I cleaned as best I could and sprayed it with Vetericyn and bandaged it up. I put her in the dog crate with food and water. I put some liquid antibiotic drops in her water. I got some Triple Antibio cream today. I resprayed the wound and put the Triple Antibio cream on a gauze pad then covered the wound with that and rewrapped it and put her back in the dog crate. Is there any chance that the wound will heal from the inside out eventually? The wound is not just in the skin, it involves muscle also. She is moving around and seems to be eating a little, but I haven't actually seen her drink. I don't want her to suffer, but I do want to give her a chance. Anyone ever have a chicken survive something like this? I have read over and over on BYC stories of chickens with wounds that looked deadly- and they survived. BUT I would make sure you put antibiotic ointment in the wound (without pain killers added) and keep it clean. One of my hens escaped from a fox attack and had a pretty bad wound on her back. I cleaned it and used blukote. I gave her some electrolytes in her water and she never missed a beat. The blukote is helpful for keeping dirt out of the wound and to prevent other chickens from pecking at the wound. You can get blukote at your local feed store. If you use it, be careful, it can be a mess and it doesn't come out of clothes and will stain your skin. Good luck. Due to their high body temperature, infection in skin wounds is unusual in poultry. Now punctures or flesh wounds can present another problem. I'm guessing that your hen is going to be fine. 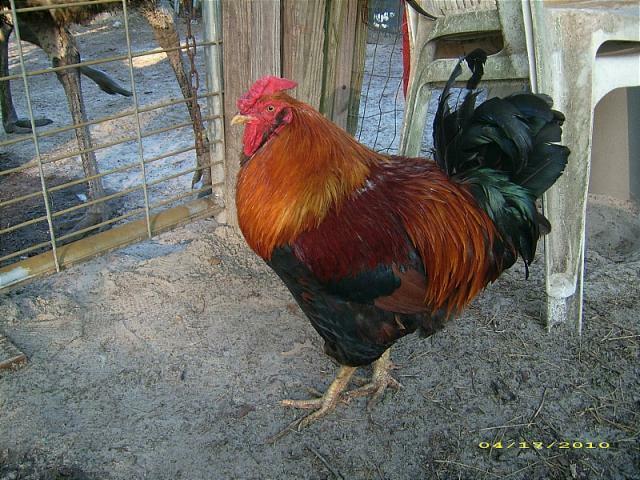 The damage is probably the result of the toenails or spurs of a rough rooster. That sounds encouraging, they are amazing how well they can heal. Keep us updated ..
Well, update on my wounded girl...she is slowly healing, no infection yet. I have been letting her out with the other hens and only putting her in the crate when it is exceptionally cold (kept in unheated room). She seems to eat much better when she is with the other girls so I have been letting her be with them some. So far, so good. My other hen who also had a big bare spot and skin tear is growing new feathers. I have had a chicken saddle on her for a couple of weeks now to provide some protection against the cold and other hens pecking at the skin tear. I will be able to take it off soon. Yay!